Huon Hooke’s Real Review. Certificate of Excellence. Huon Hooke is one of Australia's most respected wine scribes. We review around 10,000 wines each year, and are delighted to see so many wineries producing wines of outstanding quality. 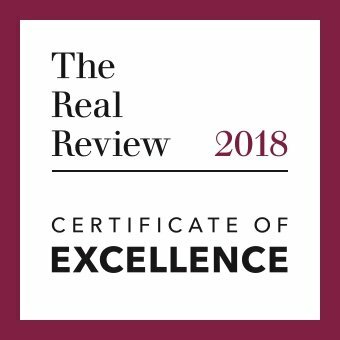 The Real Review Certificate of Excellence is awarded to a select group of wineries that consistently produce excellent wine. The Top Wineries list is a national benchmark that shows where your favourite winery is ahead of its peers. Certificate recipients are determined by a proprietary algorithm, which takes into account the rating and recency of reviews by The Real Review team over the assessment period.